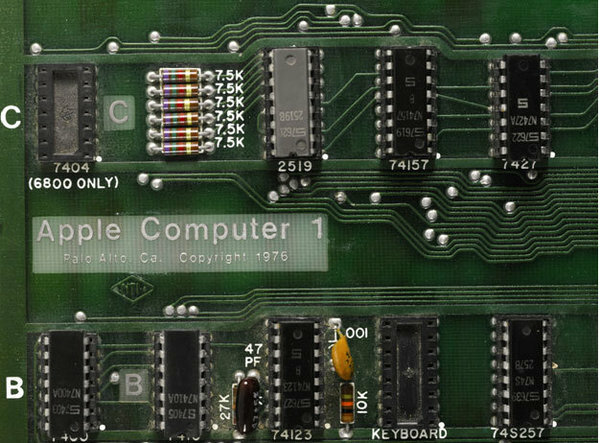 On June 16 2012 an Apple I Motherboard from 1976 sold for $374,500 at Sotheby’s Auction. Sotheby’s was hoping to get between $120,000 and $180,000 for the extremely rare item. The motherboard was one of around one hundred fifty made, one of around fifty to known to currently exist and one of six in working condition. Although the buyer still needs a keyboard, monitor, case, and power supply to make it work; the original user manuals and some marketing materials are included. Now I wonder what I can get for my IBM XT from 1987!